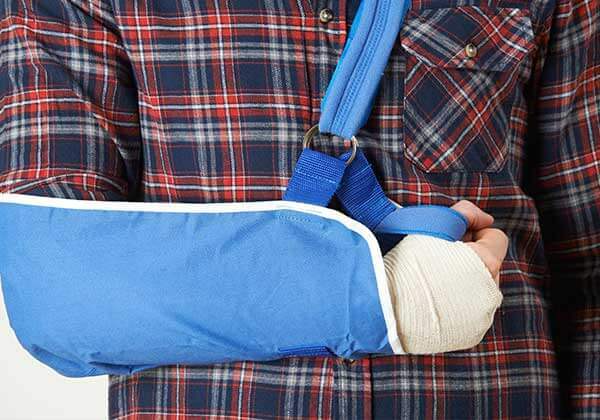 Under Alabama law, a competent adult who has been injured through the negligence of a third person has two years from the date of injury to file a lawsuit in a court with jurisdiction to hear the case. This deadline is referred to as a statute of limitations. A plaintiff&#8217;s claim will be barred if the lawsuit is filed even one day late. The injured person must also name the correct defendant in his lawsuit, or the result will be the same. For example, if the injured person believes that the negligent driver of the vehicle that hit him was John Smith, and he sues John Smith, only to find out after the statute of limitations has passed that the negligent driver was Alan Jones, it will be too late to sue Alan Jones. Do not wait until the last minute to hire an attorney to file a lawsuit on your behalf in an Alabama personal injury case. Because it takes time to investigate, prepare a lawsuit & ensure that the lawsuit is filed on time and against the correct defendant(s), many lawyers will not take a case if they are first contacted close to the end of the statute of limitations. There are some exceptions to the two year statute of limitations in Alabama personal injury cases. If a personal injury claimant was a minor at the time he was injured, the statute of limitations may be tolled until he is 19 years old. From the date of his 19th birthday, he will have two additional years to file his lawsuit, but not more than 20 years from the time the injury occurred. Under certain circumstances, the statute of limitations may be extended for an adult claimant who was under a “disability&#8221; at the time of his injury and has been declared incapacitated by an appropriate court. This most often applies to those who are mentally incompetent. However, there are exceptions to these exceptions. In the case of a minor under four years of age, such minor shall have until his eighth birthday to commence a medical malpractice action in Alabama. These and other exceptions are very complicated. If you or your family members have been injured through the negligence of another, contact an attorney for advice as soon as possible so you do not miss a critical deadline for filing the lawsuit. In Alabama a Written Notice of Claim Must be Filed in Cases Against a Town, City or County. There are additional and mandatory deadlines to comply with if you have a case in Alabama against a town, city or county. These deadlines vary according to the governmental entity that is involved. If your personal injury claim is against a town or city in Alabama, a written notice of claim must be filed within six months of the date you were injured. The notice must contain specific information relating to the nature of the claim and be filed with one or more persons designated by law. In the State of Alabama, you have one year after the date you were injured to file the written notice of claim against a county. Tolling provisions and exceptions may apply to some of the claims against governmental entities. Be careful as these laws change from time to time. In some cases you may not even be aware that your claim involves a governmental entity. For example, the driver who causes the accident may be an employee of a governmental entity and may have been on the job when the accident occurred. Or the driver may be an “agent&#8221; of a governmental entity because he was running an errand for that entity when the accident occurred. You would want to file suit against the individual and the governmental entity in these examples. If you believe you have been negligently injured by the fault of someone else, contact our office for advice regarding the deadlines that apply to your case. 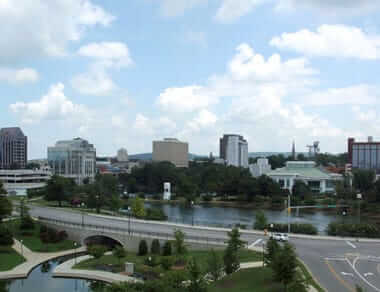 Johnston, Moore & Thompson represents individuals throughout North Alabama in communities such as Huntsville, Madison, Decatur, Birmingham, Cullman, Gadsden, Anniston, Scottsboro, Athens, Fort Payne, Albertville, Boaz, Guntersville, Stevenson, Rainsville, Arab, Hartselle, Russellville, Muscle Shoals, Florence, Sheffield, Bridgeport and Moulton, as well as Madison County, Jackson County, Limestone County, DeKalb County, Marshall County, Morgan County, Cullman, Etowah, Lauderdale, Colbert, Franklin and Lawrence County.